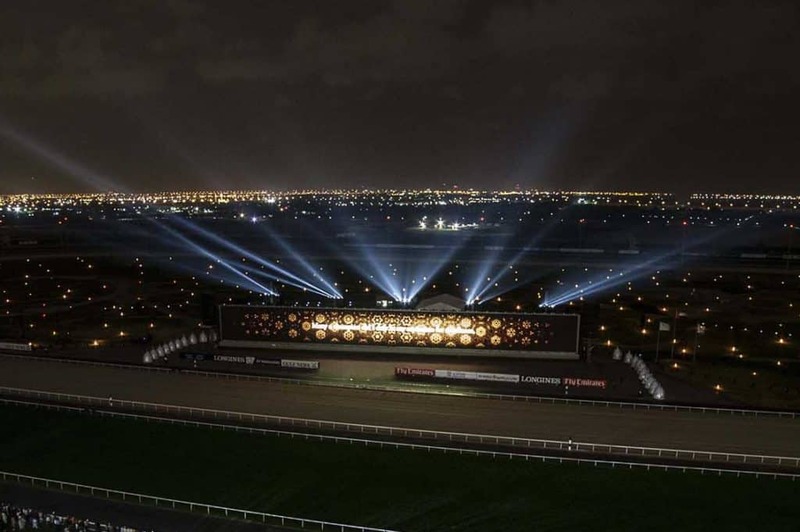 The Dubai World Cup’s ‘home’, the Meydan Racecourse and Grandstand, is the world’s largest integrated racing facility, with a seating capacity of more than 60,000 spectators. 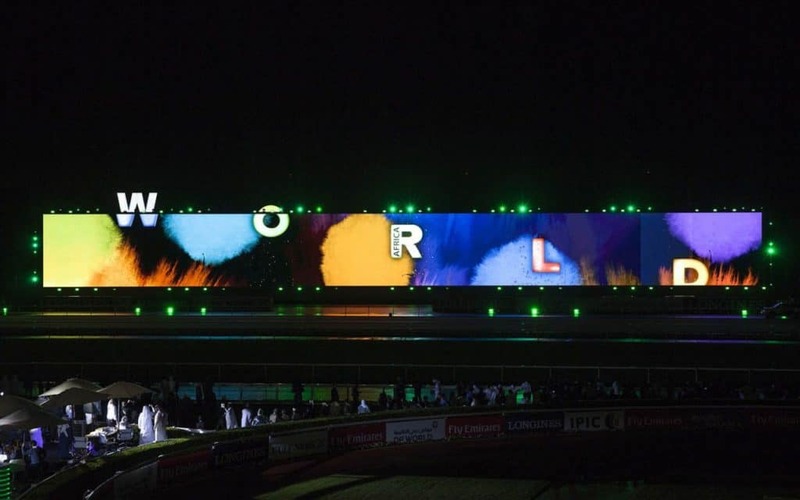 It presents unique challenges, from its 1.5 kilometre length, to its LED screen one of the widest in the world, a whole football field long. 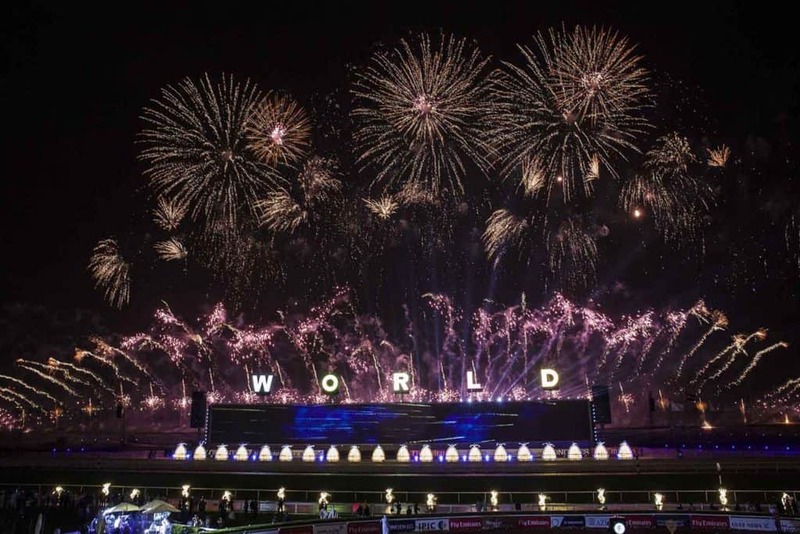 For the opening and closing ceremonies produced by Balich Worldwide Shows, 59 Productions created spectacular video content that took audiences across the globe, as well providing a graphical accompaniment to both the live show and the horse race itself. 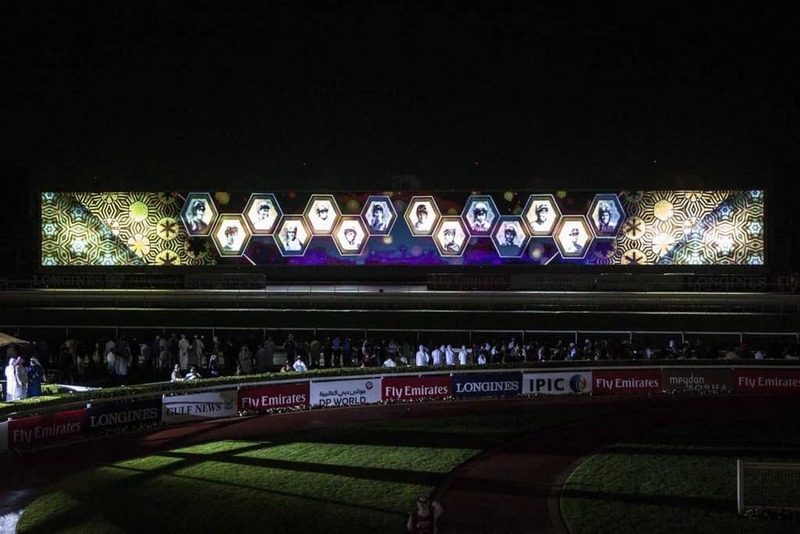 The Dubai World Cup Show celebrated the whole world gathering in the place where passion for horses was born. The finest thoroughbreds, the greatest jockeys and spectators have come from five continents to share this experience. 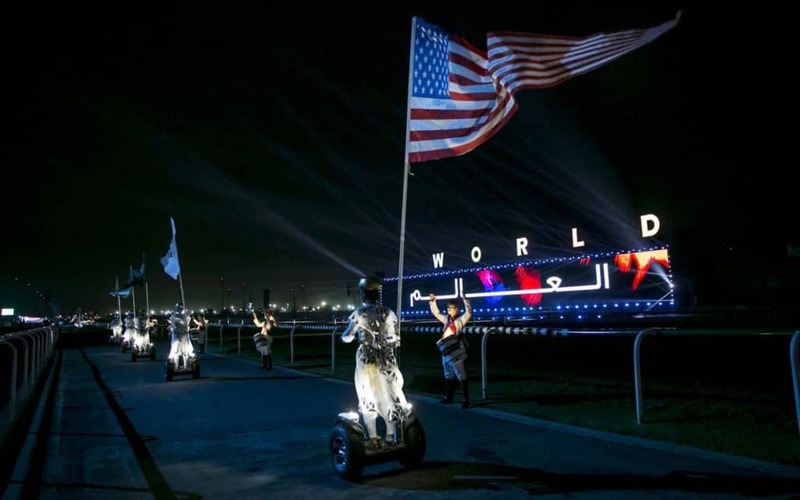 The importance of the event was marked by the Vice President, Prime Minister of the UAE and Ruler of Dubai, HH Sheikh Mohammed bin Rashid Al Maktoum’s presence.